Dr Charlie Lin understands that losing your mobility and independence can greatly affect your quality of life. That is why he takes the time to listen to you and understand your individual situation. He is passionate about working with you while combining his expertise and the best in modern technologies to achieve the best possible outcome. 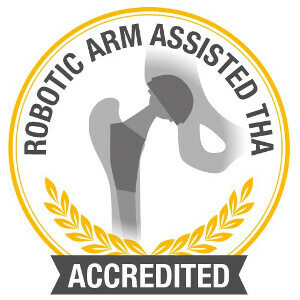 One of the first orthopaedic surgeons in Sydney who is gained early experience in robotic-arm assisted partial knee surgery in 2015. 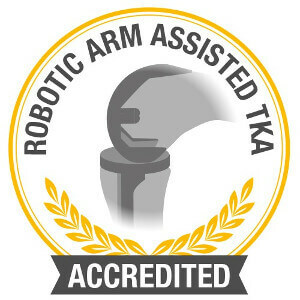 He is now fully accredited in MAKO robotic technology in partial knee, total hip and total knee replacements. 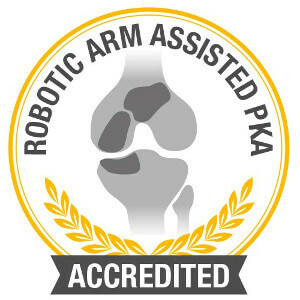 Dr. Lin successfully performed one of the first robotic-arm assisted total knee replacements in Sydney in 2017. Special interest in hip and knee reconstruction and replacement surgery, complex trauma surgery including pelvic and acetabular reconstruction. Trained in deformity correction procedures of the lower limb. Experienced surgeon performing Taylor Spatial Frame Computer Assisted deformity correction procedures of the lower limb. Worked at Liverpool Hospital Sydney as a trauma orthopaedic surgeon dedicating his time to performing complex trauma surgery. Appointed as an Orthopaedic Surgeon at Hornsby Ku-ring-gai Hospital (public) in 2012. Completed a fellowship program in Hip and Knee Reconstruction and Replacement at the world-renowned Rubin Institute of Advanced Orthopeadics in Baltimore, Maryland USA. Completed an AO Trauma Fellowship in complex pelvic and acetabular trauma management at Harborview Medical Centre in Seattle, Washington USA. Completed a Hip/Knee and Trauma Fellowship at Royal North Shore Hospital. International Society of Arthroscopy, knee surgery and orthopaedic sports medicine. Outside of work commitments, Charlie spends most of his free time with his young family. Having grown up in Sydney and travelled the world extensively, he is happy to settle his roots in Sydney. Dr Lin is highly regarded amongst colleagues and his patients appreciate his warm, caring nature, professionalism and skill. Currently Dr Lin consults at Sydney Adventist Hospital in Wahroonga, The Archer Specialist Centre in Chatswood and Coastal Specialist Suites in West Gosford on the Central Coast. He also runs an orthopaedic review clinic at Hornsby Hospital. Dr Lin currently only operates at Sydney Adventist and Hornsby Hospitals as he believes that by centralising his operating locations, he and his handpicked, highly trained team can best serve you. Speak to Dr Charlie Lin to discuss how he can assist you with your lower limb concerns.